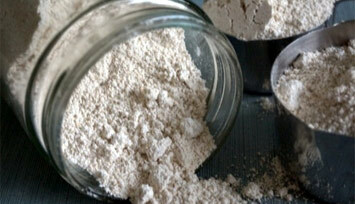 What made a practicing doctor give up medicine to create and supply a high-fibre flour? “I saw an opportunity to be infinitely more effective in preventing disease in the first place. Fibre is the only option to transform our staple comfort foods from toxic to therapeutic,”­ says Gerald Davies, founder of FiberFlour. Despite being a lifetime jogger and careful follower of dietary guidelines, between the ages of 45 and 55, Davies, a trained doctor specialised in cardiothoracic anesthesiology, steadily began putting on weight. His moment of epiphany – which led to him promptly shedding the weight and donning his 30-year-old suits again – came when he read ‘Good Calories, Bad Calories’ by Gary Taubes. The book disputes the alleged role of fat in causing obesity – a belief that has shaped most countries’ dietary guidelines for years – instead shifting the blame to carbohydrate-rich diets and their chronic lack of fibre. The fibre comes from a variety of different natural sources – both soluble and insoluble – including lignans, betaglucans, oligofructans and inulin. As a comparison, whole-wheat flour generally contains around 10% fibre and around 60% rapidly digested starches. The fact that FiberFlour contains gluten from the wheat means the dough retains key functional properties such as elasticity, consistency and rise, and can be used to make leavened and flat bread, pizza, biscuits, cookies, muffins and snack bars…..